Disappointed supporters of public television believe the latest symbol of income inequality in America is, strangely enough, "Sesame Street." Through a deal with HBO, the beloved children's television show, which champions fairness and equality, will be pay-walled. New episodes will be available first to paying HBO subscribers, then for free via PBS nine months later. The deal helped keep the financially unstable show afloat. Still, sadness was the reigning emotion among public broadcasting supporters when the deal was announced on Thursday. What they saw was a cherished public asset -- a part of so many people's childhoods -- becoming corporatized. "I get why 'Sesame Street' did the HBO deal, but it makes me sad we're privatizing a national treasure originally aimed at educating poor kids," comedian and popular twitterer Brian Gaar wrote. "More than any other series, 'Street' has symbolized public television and the Public Television Service over its 40 years on the air," Newsday TV critic Verne Gay wrote. Now, instead, it symbolizes the superiority of subscription-based business models. That's what concerns advocates who say access to educational programs like "Sesame Street" via the public airwaves has been especially important for low-income households that don't have cable. The HBO deal will be in effect for five years and will provide "Sesame Street" episodes to PBS stations for free. (The stations previously had to license the episodes.) But some skeptics of the deal are already wondering what will happen at the end of the five-year period. More broadly, the announcement was a let-down for supporters of the public media model. Some say the gap between what not-for-profit media could be, and what it actually is, has never seemed so vast. In Washington, most conversations about public subsidies for PBS and NPR are about cuts, not increases. Mitt Romney memorably invoked Big Bird in a 2012 presidential debate. "Somewhere today, Mitt Romney is smiling," Vulture's veteran TV reporter Joe Adalian wrote. Liberal Washington Post blogger Alyssa Rosenberg wrote that "the show is a perfect example of the kind of thing that many of us feel instinctively ought to be some sort of public trust, but that we're not exactly lining up to pay for as if the show were public infrastructure." As parents everywhere can testify, many kids won't notice that the episodes on PBS are old. Nevertheless, the nine-month delay for free TV injects a "note of difference and separation into a show that was always dedicated to the eradication of such distinctions," Rosenberg wrote. PBS CEO Paula Kerger was unavailable for an interview Thursday and did not respond to a request for comment. PBS had known about the potential changes for many weeks. 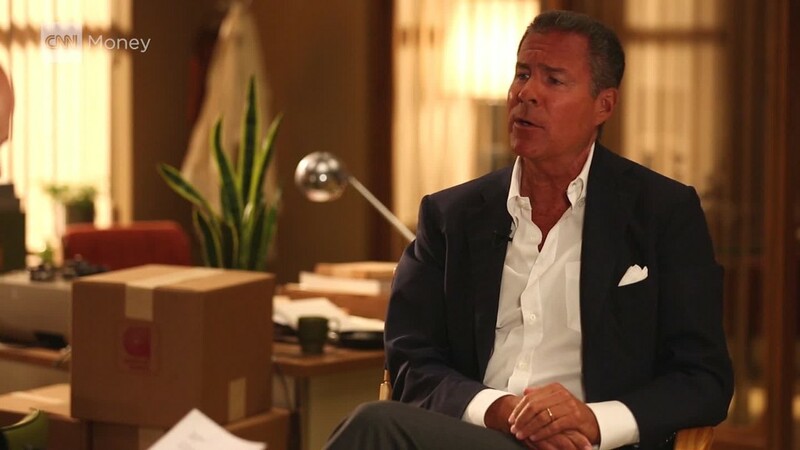 Jeffrey Dunn, the CEO of Sesame Workshop, the nonprofit that produces the show, said he talked with the public broadcaster last winter about the workshop's worsening budget shortfalls. "There was no way they could step up and make that gap up," Dunn said. A PBS spokeswoman said, "We spoke to Sesame Workshop about various possibilities, but, ultimately, 'Sesame Street' made their own decision." Dunn initiated talks with a wide range of distributors, including HBO and other streaming services. 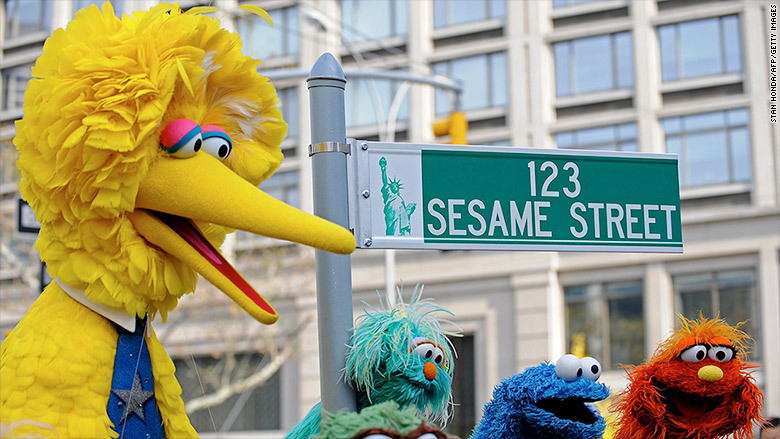 When asked about the perception that Thursday was a dark day for public broadcasting, he asserted that it was actually a "big and bright day" because "Sesame Street" had found a crucial source of financial support. It was necessary, he said, because streaming TV had cut into the workshop's revenues from DVD sales. "The losses just kept getting bigger," he said. "It was like, 'If we don't find another way to replace this revenue stream, then we either have to shut the show down or...'"
He cut himself off, and said, "It was a difficult situation." PBS had little to say on Thursday, other than that the "new partnership does not change the fundamental role PBS and stations play in the lives of families." PBS's statement also noted that its children's lineup is comprised of "more than a dozen series." According to PBS, there are several more popular shows among its 2- to 5-year-old viewers, including "Curious George," "Daniel Tiger," and "Wild Kratts."